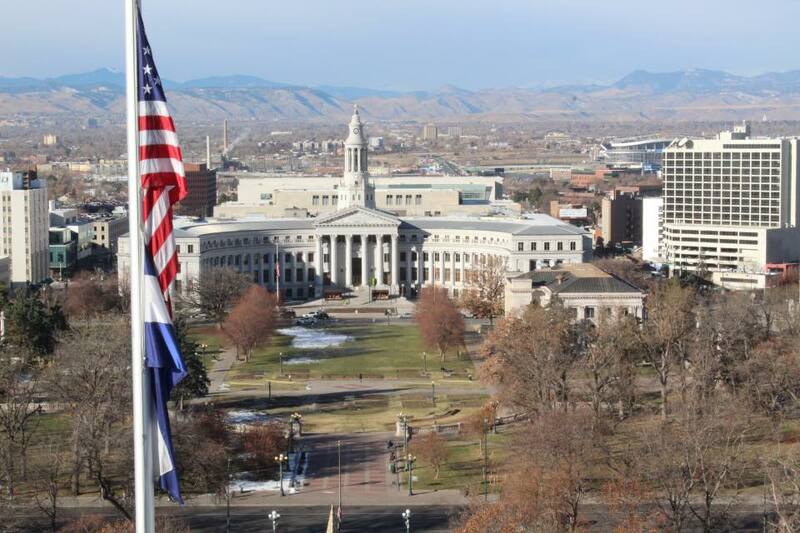 Voted the best place to live in America in the 2016 US News and World Report, Denver is sophisticated and diverse, boasts a great climate, is packed full of cultural attractions and has a thriving restaurant scene. Our Senior Ski Specialist Karen visited Denver on an educational trip in December 2016. Here are her thoughts on her experience in the Mile High City. A Denver City Stopover might just surprise you! I’m not going to lie, Denver, in my head, was an industrial sprawl providing infrastructure for the Rockies, but little else. How wrong I was – downtown Denver is clean, walkable, safe and full of interesting architecture and quirky independent boutiques. Hipsters have well and truly taken over here – it’s virtually impossible to buy a drink that’s not in a jam jar. And if you’re not serving hand-ground-artisan-coffee-beans-personally-sourced-from-an-indigenous-community-in-the-woods then you’re not selling coffee in this town! Our group stayed at the Crawford Hotel. Part of a new (2 year old) refurbishment of Denver’s Union Station, dating from 1881, it’s an awesome building and there are lots of bars, restaurants and shops on the ground floor. Every outlet is independently owned and local – no chains here. Hotel guests get given a discount card when they check in: this gives you a free coffee, a scoop of ice cream, a beer and discounts in the stores. Entry level rooms are small, but really stylish and comfortable. Nestled 90 minutes from Denver, among breathtaking Colorado scenery is the beautifully unique and surprisingly vast Winter Park. 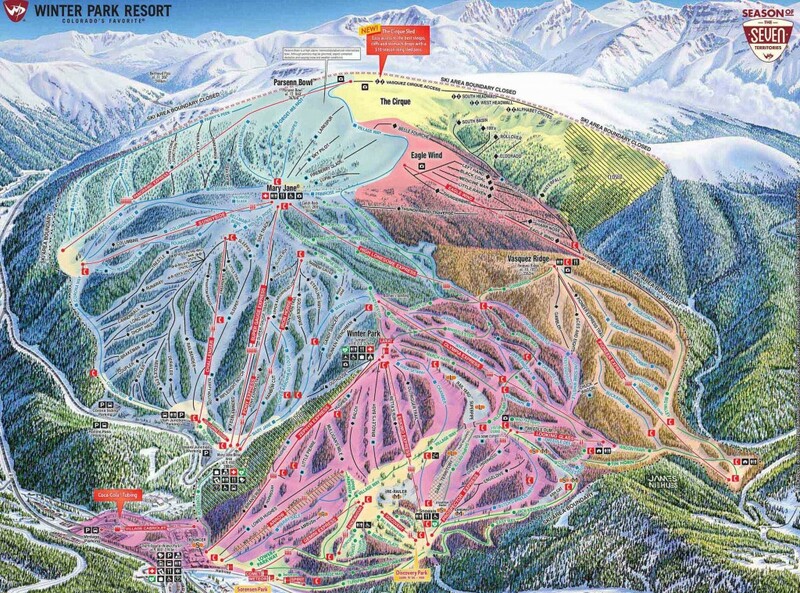 The second largest ski area in Colorado celebrates its 75th birthday this year, and although there are plenty of bars and restaurants to celebrate in, the only place to be found in Winter Park, is on the mountain. 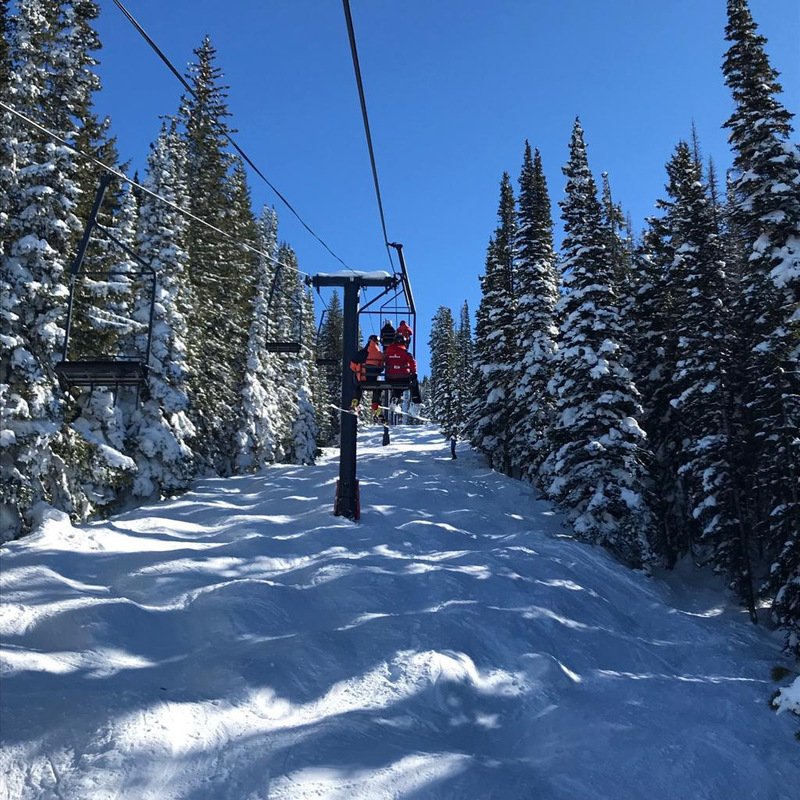 Aside from a short transfer time and superb value for money, Winter Park’s huge ski area has a unique twist, making mountain the ultimate choice for families and mixed ability groups. I got hooked on Teton Gravity Research (TGR) ski and snowboard films back in 2005 when I first saw Tangerine Dream. So, when I heard that their latest release, Light The Wick, was going to be premiered at the O2 Shepherds Bush Empire last Autumn I grabbed a ticket straight away. The friendly folk in Beaver Creek want to make your ski holiday as enjoyable as possible. They know that a way to the heart is through the stomach, and this particularly true with children! 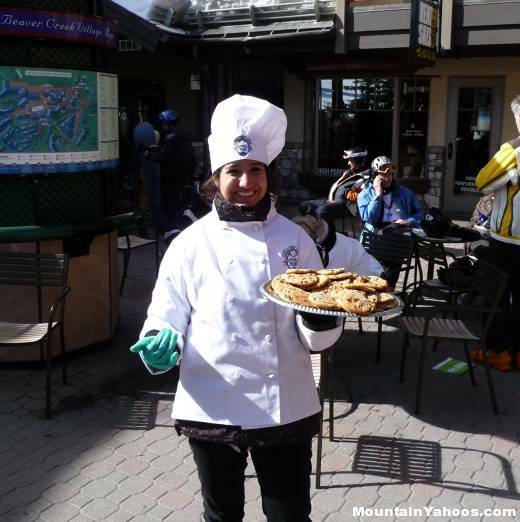 So, after a day on the slopes in Beaver Creek make sure you head to the Centennial Chairlift (Chair #6) at 3pm where you’ll find resort staff handing out hot, chocolate chip cookies. But don’t worry they are for adults too! Moguls move uphill – who knew? Scientists studying the formation of moguls in Winter Park, Colorado (we want their job!) have found that over time moguls actually move uphill. When you book Steamboat First Tracks three weeks out to coincide with a client visit, you certainly hope for either a fat Champagne Powder® snow day or a sunny corduroy dawn, but today exceeded all expectations. What could be better than having someone come directly to your hotel room to fit your skis & boots? Well here is your answer for many of our North American resorts. 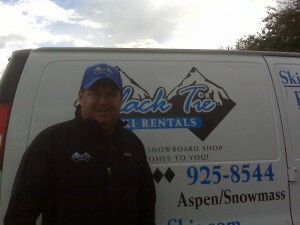 Black Tie Ski Rentals provide a delivery service for ski and snowboard rentals that is second to none. All you need to do is provide your requirements and we will arrange for Black Tie to deliver your rentals to you at your accommodation at a time convenient to you – usually the morning of your first ski day. North America’s 2010-11 ski season is off to a great start with many areas opening early and reporting healthy snow falls. 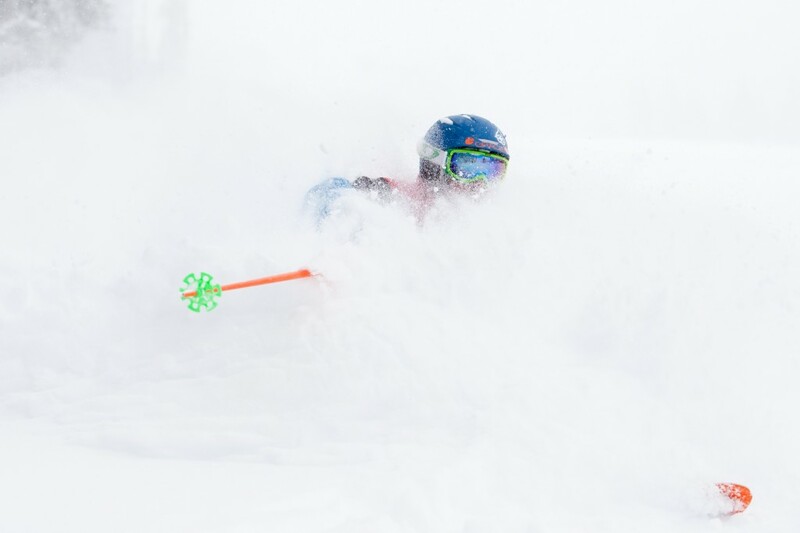 Among the resorts already open are Breckenridge, Keystone and Copper Mountain Colorado; Snowbird in Utah, Killington on the East Coast in Vermont and north of the border Banff and Lake Louise in Alberta. Whistler has announced it will open nearly a week early, later today, thanks to the great pre-season conditions there. 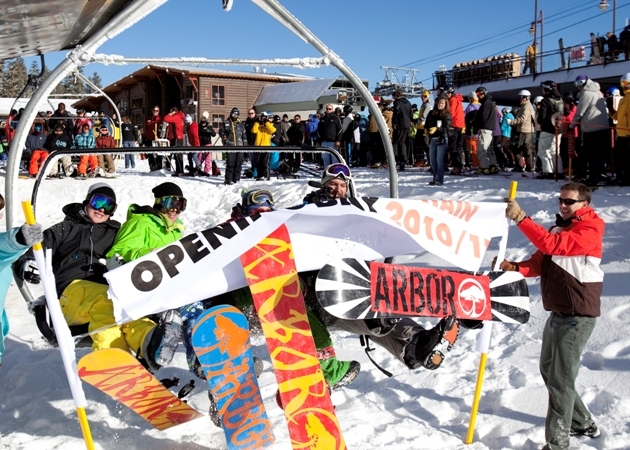 In California, Mammoth is the latest to open (On Thursday 11th November) with more than 2,000 people arriving to enjoy skiing and boarding down from the 11,053 foot summit via Cornice Bowl. Six lifts were operational and 2,000 vertical feet (about 650 metres) of vertical terrain were open on a base of 18 to 36 inches (45 to 90cm).